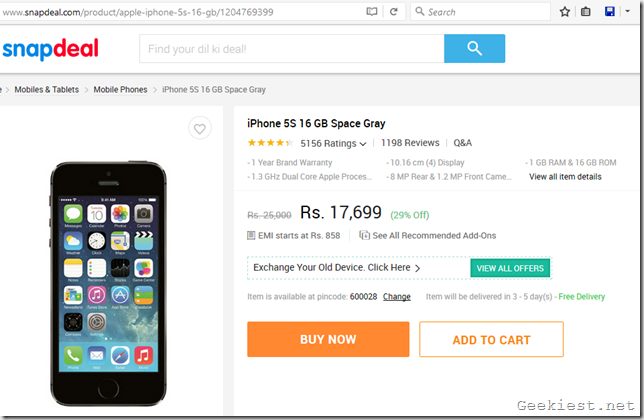 The Apple iPhone 5s price has dropped to Rs 17700 in India. The discount is not at all surprising, for we have anticipated one ever since an analyst predicted one last month. The reason behind it is the upcoming launch of the new Apple iPhone SE, which is expected to be launched at an event scheduled to be held on March 21st. 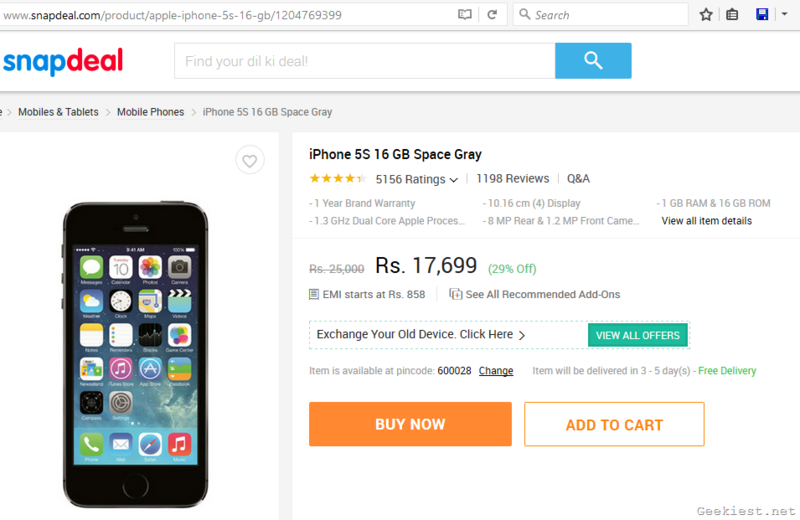 It was expected that the iPhone 5S, which previously retailed 21000, will be getting its price cut down by half in the US (around $225), and by about Rupees 6000 to 8000 in India. This would mean the iPhone 5S would be available for Rupees 15000 to 13000 in India. 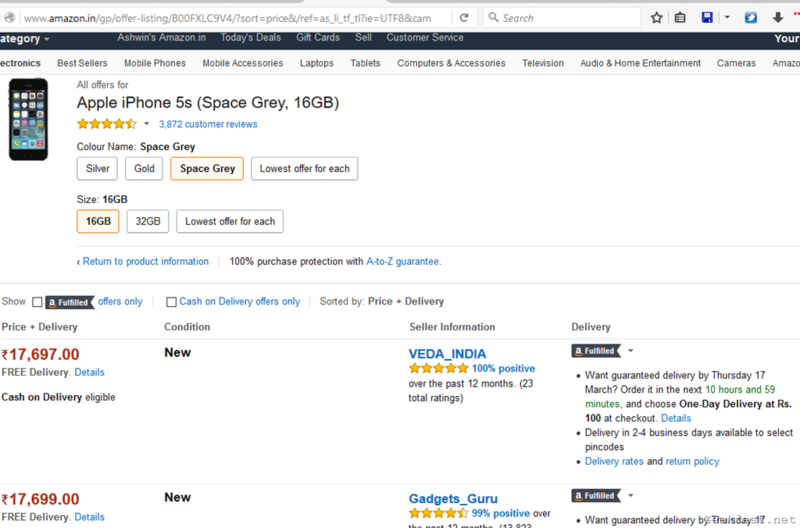 But ahead of the iPhone SE launch, and without any official announcement about a price cut for the older phone, the Apple iPhone 5s price has been slashed across three major online retailers: Amazon India, Snapdeal and Flipkart. And the new price is only Rs 4000 cheaper than before, at Rs. 17700. 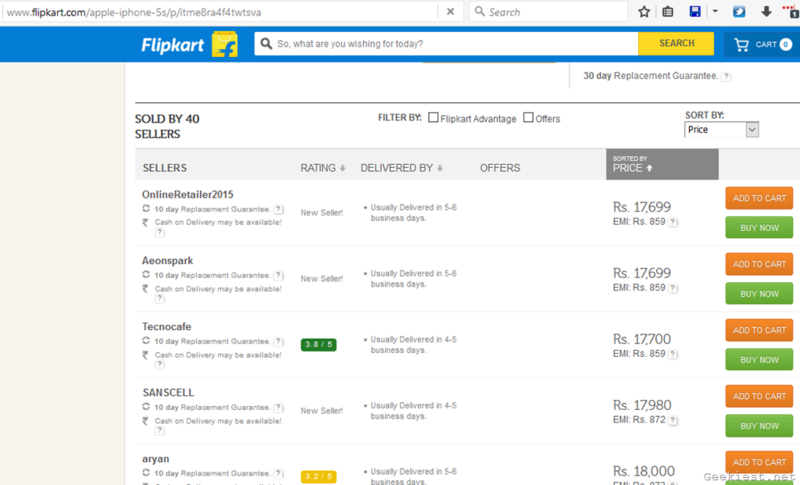 Tip: Choose a seller with a high rating, just to be safe. It will be interesting to see whether Apple will announce a second price cut after the iPhone SE is launched. 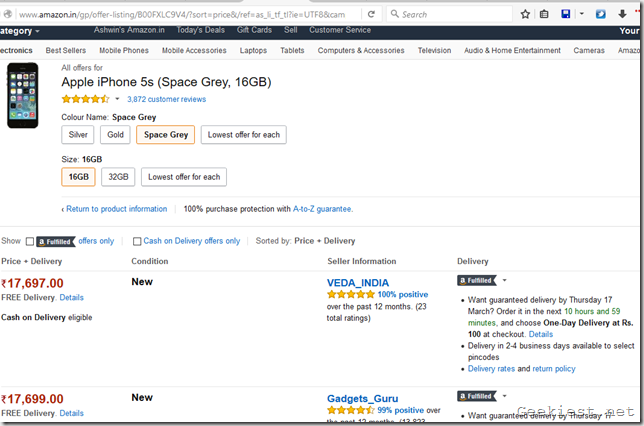 Apple iPhone 5s price cut in India by Rupees 4000 ahead of iPhone SE launch.